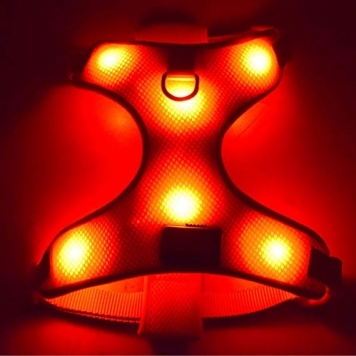 Collar and Harness Magazine’s summary of the EXPERSOL HOTDOG LED Dog Harness – a USB rechargeable high visibility harness. Light collar’s have been around for a while – but we have recently seen a rise in light harnesses. 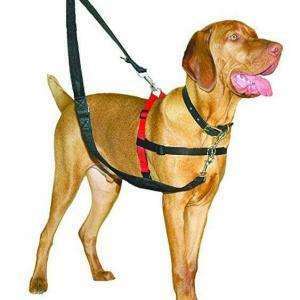 The EXPERSOL HOTDOG LED Dog Harness is a USB rechargeable high visibility harness. 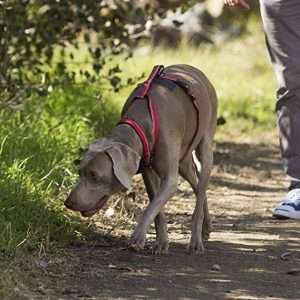 It is designed to give your dog high visibility when out at night or in poor weather. I’ve found similar products to be very useful – especially during trips to the countryside where overhead light pollution is lower. The harnesses LED lights have three settings; steady (on), fast flashing and a steady flash. 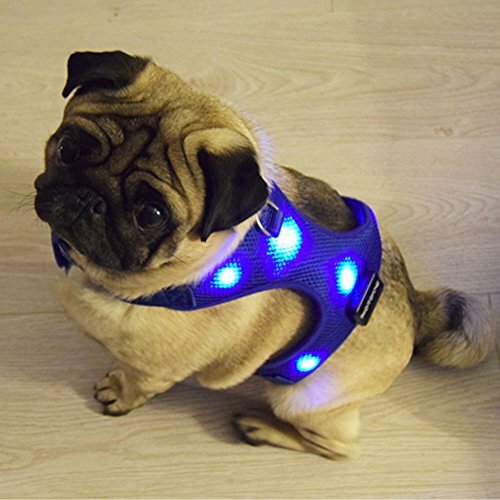 HOTDOG LED Dog Harness uses six F5 SuperBright LED lights (i.e. bright) powered by a Lithium-ION battery. A USB port on the harness can be plugged in to a charging cable to allow recharging. Being LED the power consumption is low so batteries will last for several days (or more) depending on amount of use. This seems like a vast improvement to standard battery LED accessories which often found themselves in the bin (or collecting dust) once the battery had died. 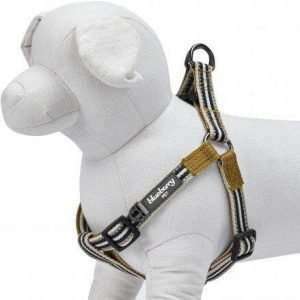 The harness is made of 100% Nylon webbing with high-tensile stitching. There is a stainless steel lead ring at the top. It comes in three sizes (large, medium, small) but as always be careful to measure before ordering. It is availbale in two colours, red and blue. 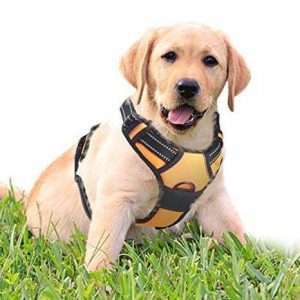 Final notes that the HOTDOG LED Dog Harness is waterproof and designed to be sturdy. 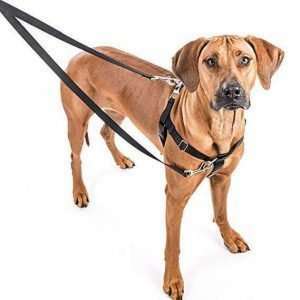 If you have used this harness, please let us know what you think in the comments section below.